Get Your Samsung Chromebook Pro w/Backlit Keyboard. Wait, What? It’s been more than a year since Samsung took the stage at CES 2017 and announced the Chromebooks that, for all intents and purposes, fostered the new generation of Chrome OS devices. If you had told me last month that I’d be writing this article on a lazy Sunday morning in mid-April of 2018, I would have promptly informed you that you were crazy. Never, ever in my life would I have guessed that Samsung would have refreshed the Chromebook Pro just to add a backlit keyboard. As I looked at the email from John B., it took a minute to register but sure enough, right there in black and white, the Samsung Chromebook Pro w/backlit keyboard was silently added to the Chromebook landing page on Samsung’s website. Apart from the illuminated keyboard, the latest iteration is identical to the original model that includes the Core M3 Skylake processor, 32GB storage, 4GB RAM, 3:2 400 nit super-bright display, stowable stylus and all the things users love about the Chromebook Pro. While I am shocked at the amount of time it took Samsung to pull the trigger here, it is a very welcome surprise as the lack of a backlit keyboard was easily the number one complaint of users across the web who so desperately wanted this to be their new Chromebook. Many opted to purchase the ASUS C302 for this very reason despite the lesser display and lack of a stylus. 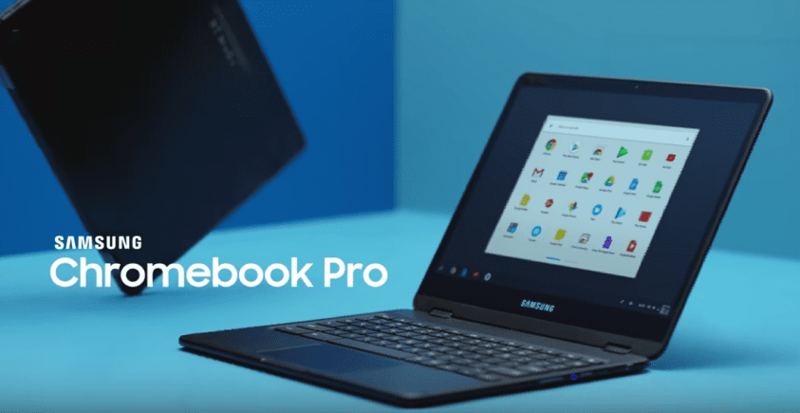 Anyway, for the countless who have asked and have even held out hope, you can now get the Chromebook Pro with a backlit keyboard directly from Samsung for $599. The price is a tad more than I would have hoped given the 64GB model is exactly the same and even cheaper if you shop around. Hopefully, as inventory trickles down to resellers, we’ll see some deals on the latest version. Special thanks to John Bricklemyer for alerting us to the new Samsung.